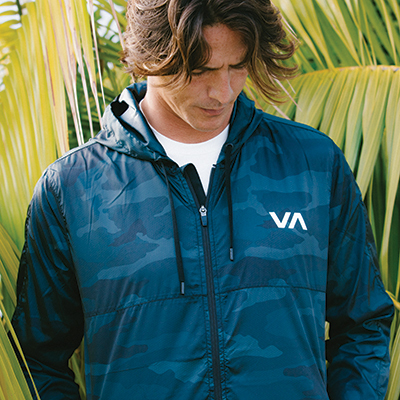 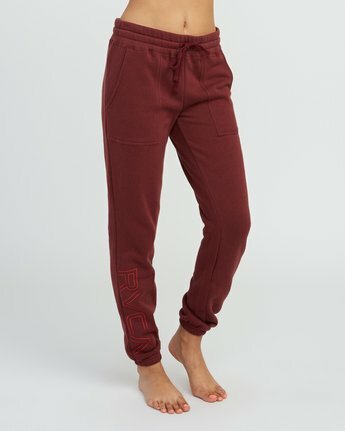 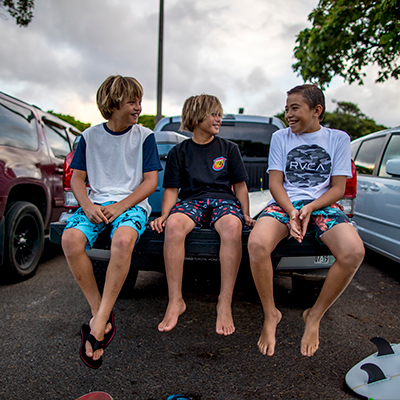 A lounge staple with a hint of RVCA, the Pinner Fleece Sweat Pant keeps to classic lines. 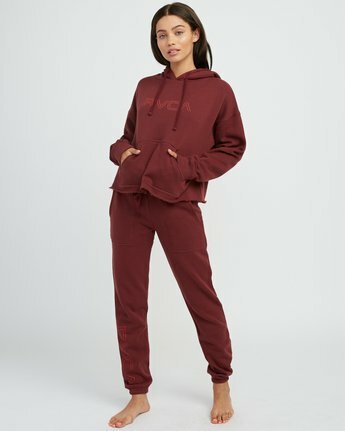 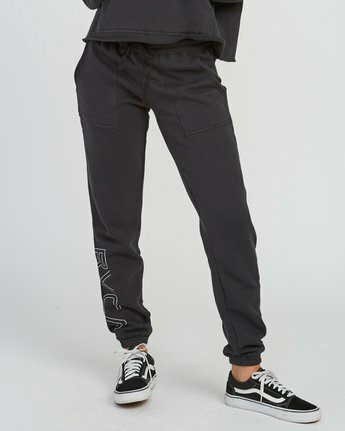 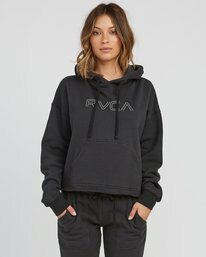 Made from a soft fleece, the womens fleece pant offers a custom feel with a RVCA logo outline screen print at the lower right leg. 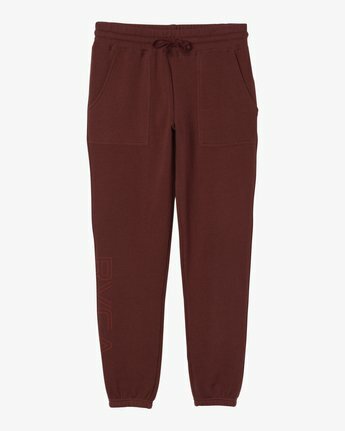 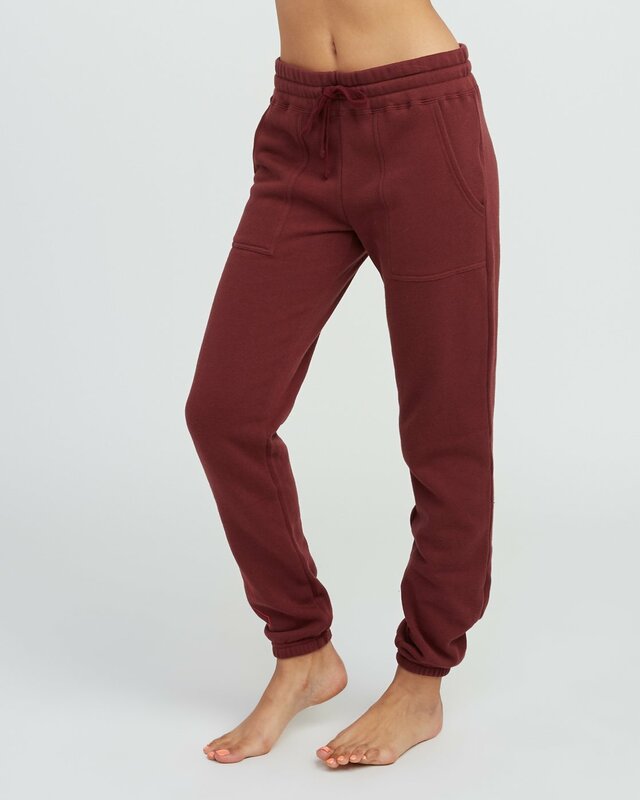 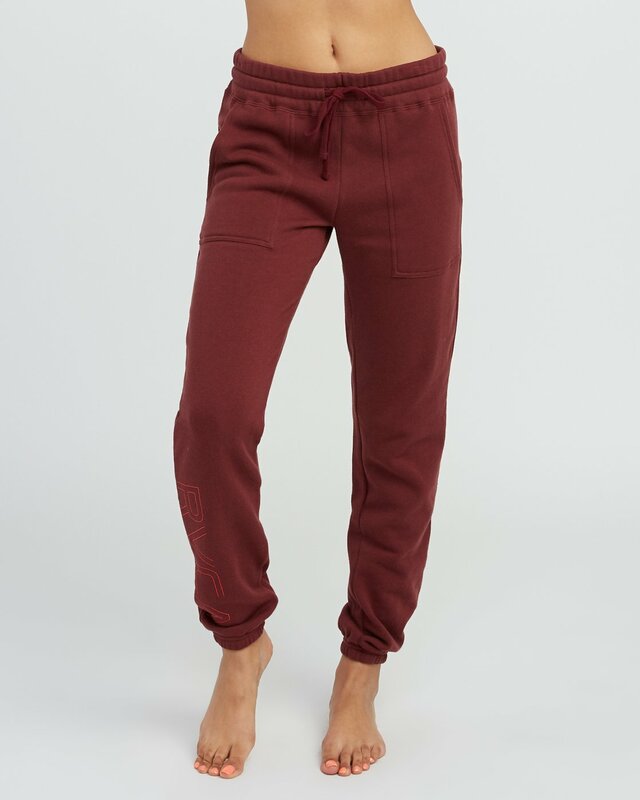 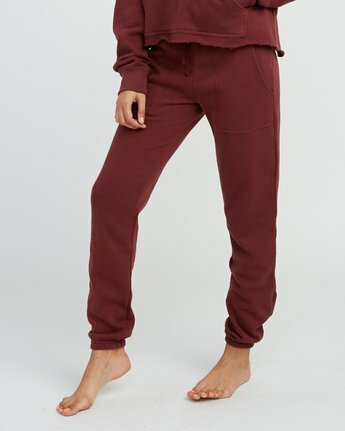 The essential sweatpant features an elastic and drawcord waistband, front pockets and elastic at the cuffs.